On June 17, the critically-acclaimed series Fargo, concludes its 10 episode, limited run on the FX Television Network. With an all-star cast that includes Oscar-winner Billy Bob Thornton (Friday Night Lights), Martin Freeman (The Hobbit) and Colin Hanks (son of the legendary actor Tom Hanks), the series is an adaptation of the Coen Brothers’ Academy Award-winning feature film of the same name. 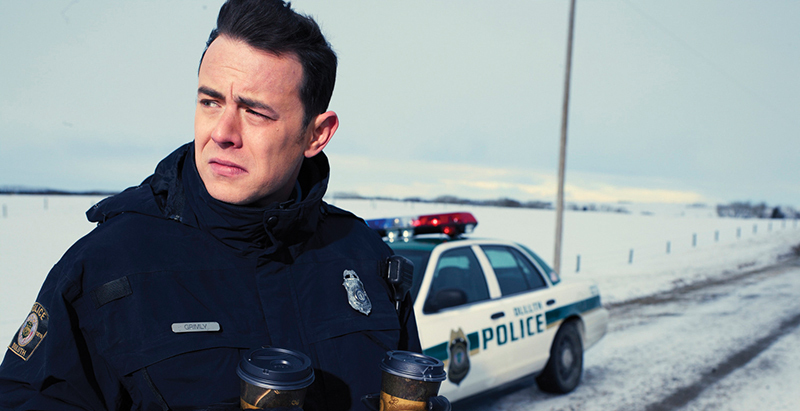 In the series premiere, Hanks (who plays Duluth Police Deputy “Gus Grimly”) is faced with the difficult choice of whether to allow a killer to go free at a routine traffic stop, in order to protect himself and his daughter (played by Joey King). His decision to let Lorne Malvo (played by Billy Bob Thornton) drive away that night is something that later haunts him. With its original blend of dark humor and moments of violence and suspense, Fargo is not your ordinary tale of murder and mystery. Set in the wintry landscape of Minnesota, the series was written by Noah Hawley, who re-imagined the Coen Brothers tale with a new cast of characters. At the age of 36, Hanks still relishes the thrill of acting, even with an already impressive resume of feature films and television roles. Fargo airs Tuesdays at 10 p.m. on FX. For more entertainment news, follow Michael Aaron Gallagher on Twitter @MichaelTVNews.